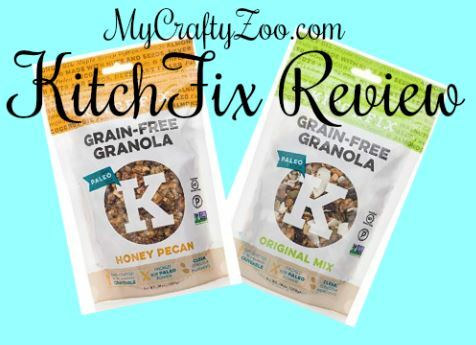 This healthy snack is so delicious that it’s hard to believe the amount of descriptions if qualifies for: paleo, dairy free, non-gmo, gluten, low-carb and preservative free! It’s the perfect snack for a pick me up and to quench that sweets craving that attacks! 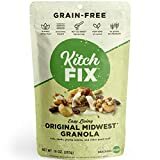 Having spent an entire life struggling with eating healthy, I had never tried a granola mix. There was nothing anyone could say that would convince me to believe the words even I am now saying to you! I just refused. I finally tried it for a review (would never have done so otherwise) and I am sold on this amazing healthy snack. Absolutely convinced. I let my husband try it and immediately became stingy again. While I wanted to share, I also didn’t want to run out! haha. Due to narcolepsy and cataplexy, my doctor instructed me to go on the Paleo diet. I have a much harder time than my husband, but that is not surprising. While it does make me feel better (and he is shedding pounds like crazy), I have a hard time resisting my sweet tooth. 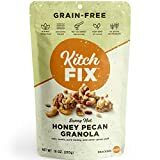 I am pleased to announce, that KitchFix is literally the best sweet snack I’ve had that is actually paleo! It also, as described above, has a lot of other things going for it. The best is that it’s a healthy snack that is actually good for your body! 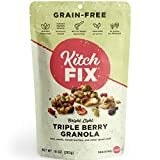 KitchFix has quite a few different mixes: Original, Honey Pecan, Cocoa Sea Salt, Lemon Berry Chia, and others. Mine has been an amazing snack, especially the honey pecan! I can’t wait to try the Cocoa sea salt! I highly recommend checking them out!